يقع فندق فندق ريدجز ويلنجتون، المصمم ليناسب كل الضيوف سواء كانوا من رجال الأعمال أو السياح، في مكان ممتاز في أحد أكثر المناطق تفضيلاً في هذه المنطقة. يقع مركز المدينة على بعد 1 km فقط. ويمكن الوصول إلى المطار خلال 20 دقيقة. يشكل هذا الفندق ملاذاَ مريحاً للاسترخاء ويمنح زواره فرصة للاستجمام والتجدد، وهو يقع على بعد خطوات من المعالم السياحية الكثيرة للمدينة. يعمل فندق ريدجز ويلنجتون على ضمان إقامة مريحة لضيوفه من خلال خدماته الممتازة وحسن ضيافته. يقدم هذا الفندق العديد من الخدمات الكفيلة بإرضاء أكثر الضيوف تطلباً. في فندق ريدجز ويلنجتون غرف نوم يزيد عددها عن 280 صممت بذوق وعناية لتوفر لك كل وسائل الراحة . بعضها يحتوي أيضاً على تلفزيون بشاشة مسطحة, سجاد, رف للملابس, قهوة فورية مجانية, شاي مجاني. يقدم الفندق العديد من الفرص للاستجمام كمثل حوض استحمام ساخن, مركز للياقة البدنية, ساونا, حمام سباحة داخلي, سبا. اكتشف مزيجاً ساحراً من الخدمة الاحترافية والخيارات الواسعة من وسائل الراحة والمتعة في فندق ريدجز ويلنجتون. العقار لا يقبل الدفع ببطاقة داينرز كلوب. 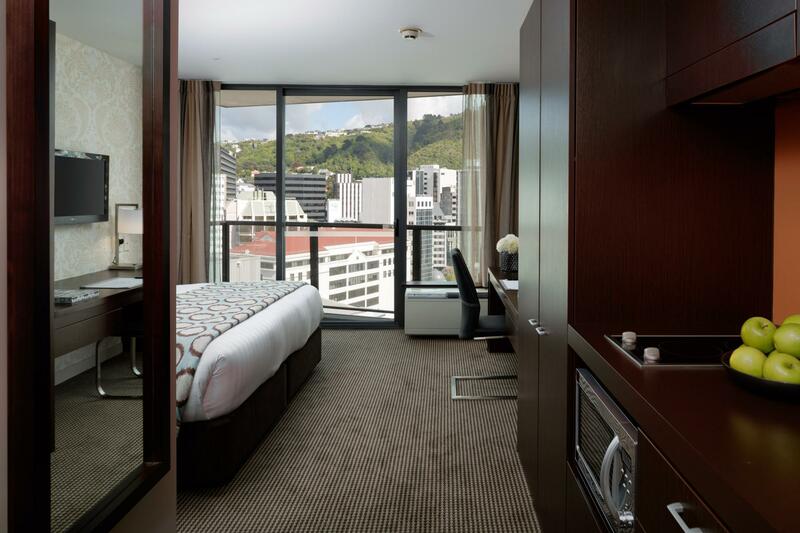 So I’ve stayed at other Rydges hotels on dozens of occasions, however unlike everywhere else, Rydges Wellington Charged me $50 just in case I used anything in the minibar (I never do) and now 2 full business days after I’ve checked out that money has still not been refunded to my credit card! I’ve never had any other hotel do this to me EVER! Arrived in Wellington after such a disastrous day and when I’m checking in he upgraded my room because I had a bad day. So thank you for being thoughtful, you made my day ! The bed was so comfy, hospitality is amazing, breakfast spread is good. Location is so central! 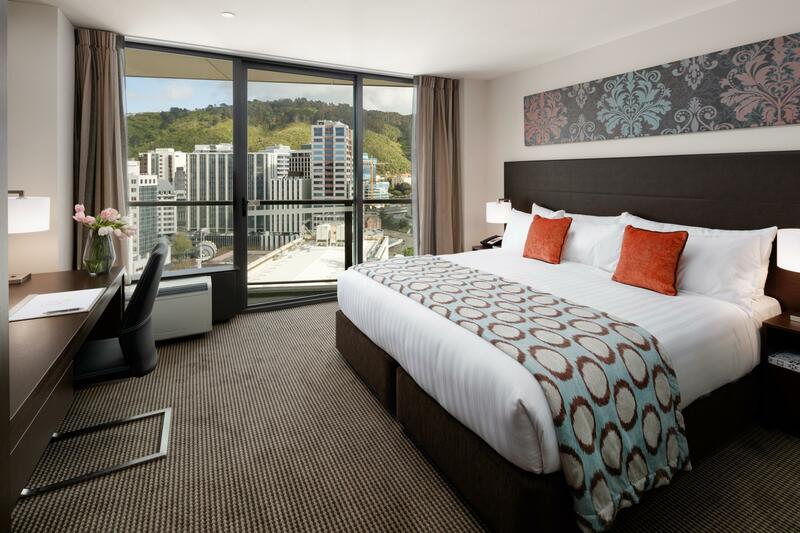 The very close proximity with the Railway Station is the main deciding factor on why I chose Rydges Wellington. Although I was a bit skeptical initially when reading descriptions of the hotel location but when I experience it myself, readers can count on me that... YES! 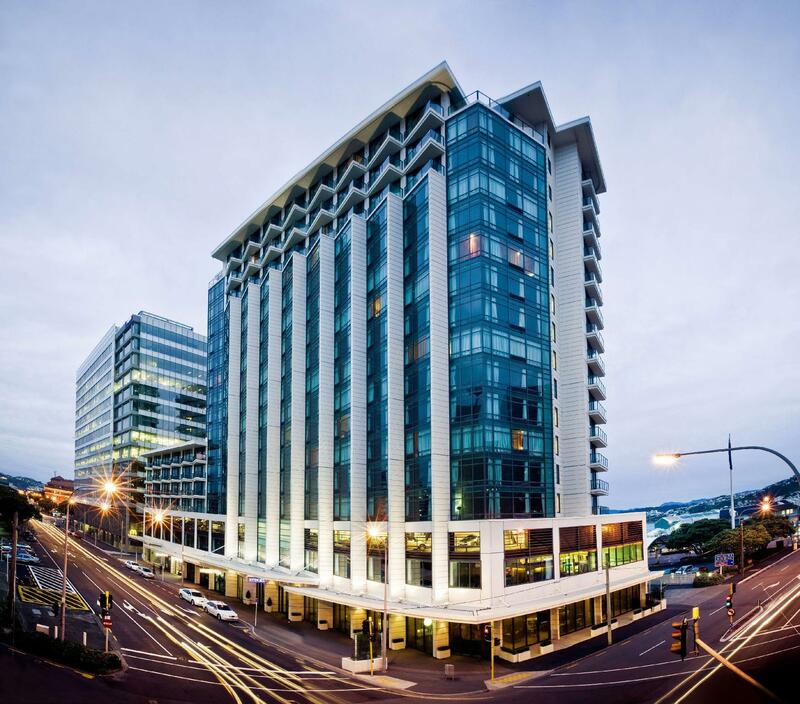 Rydges Wellington is indeed 2 minutes of casual walk to the Railway Station but 1 MINUTE normal walking distance not only to/from the Railway Station but the beautiful Wharf. My only regret is it was a short stay . 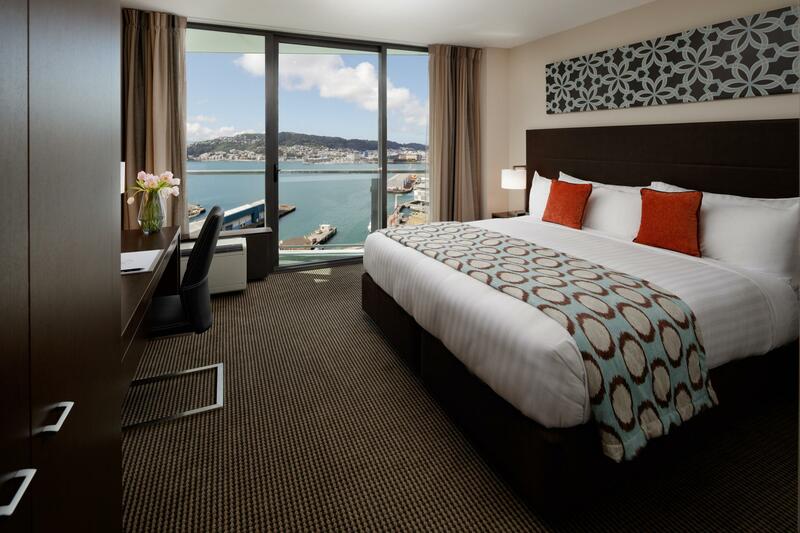 I might be back to Wellington and Rydges will again be my choice of accommodation and perhaps longer stay. Weekend breakfast was absolutely chaotic! Firstly, there was a giant queue to wait to be seated...if your party is larger than 2 you may face a long wait. Staff were working hard but still, there were items running out, no cups at the tea / coffee station etc. The queue for hot food was again ridiculous...slow and snaking around the dining room. Felt unable to make toast, get coffee etc due to the crowds around those areas. Breakfast here is not the way you want to start your day! Parking - although the hotel has parking, it is often over subscribed. The staff member checking us in was useless at describing the alternatives. They really need to do better because the only way to get overnight parking at the nearby multi storey car park is to install an app on your phone! Street parking is 2 hours max 7 days a week. The staff were very organised, professional and helpful. 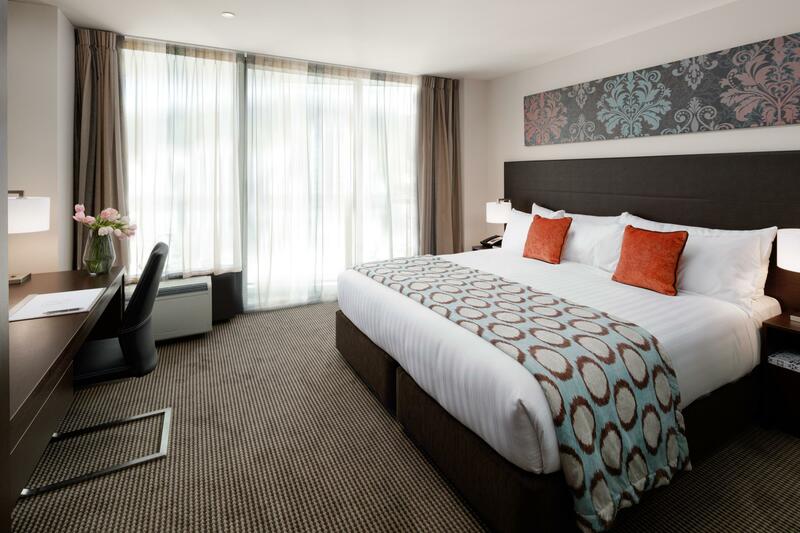 The bed was comfortable and firm and the room was cleaned to a high standard. The pool is a huge plus. Loved eating at the Portlander which is located in the hotel. We have already booked our next stay and we recommend this hotel to other business or holiday travelers. Rydges was what I would expect of this standard of hotel. It was very close to the train station and had a great view from our room to the harbour/Mt Victoria. Pricey, but it was to be expected on Seven's Weekend. What a beautiful hotel it is ! And how lovely is their service ! We are really pleased staying in this nice and amazing hotel. We would like to come and stay again in this lovely hotel. Thanks to all of the staffs of this hotel for their excellent services. I stayed recently for business (2 nights). I found the hotel was very comfortable - great beds and pillows and comfortable rooms. The breakfast is also great- lots of choices. The main concern I had was on arrival, I had no where to pull my rental car into so I could check in. The car parking is valet only. I had to drive around the block twice and park down the street. I had room service for dinner both nights (as the second night I couldn't get a table in the restaurant due to it being fully booked). The service was very fast. However I was disappointed that the room service menu didn't have many of the good food choices seen in the restaurant. I ordered steak one night and asked for it medium, but it was cooked medium to well done. First thing the staff were super helpful and friendly, we had a big room which on arrival the poor ol air couldn’t cope with the heat on the day, the room was like you in a oven. The we got down graded to a smaller room with pit any compensation. We were there for 5 days bed sheets never got changed and the last day of our stay the bed wasn’t even properly fixed just covers up and straighten up but under all of that t was how we left the night before. Hall way carpets were filthy. But gtraT restaurant and lobby over all should be a 3 star hotel, nothing specIal I spend little extra and get something better, everything is aged and tried specially the air con system. The staff were exceptional no task was too difficult and all were so helpful, thoughtful and courteous.The hotel itself is quirky (arty)in its decoration which we did enjoy.The rooms were extremely well equipped and spacious.We also used the restaurant and found food excellent although the alcoholic beverages were a little expensive. Quick relaxing two nights after two weeks Hostelling and camping on the road. 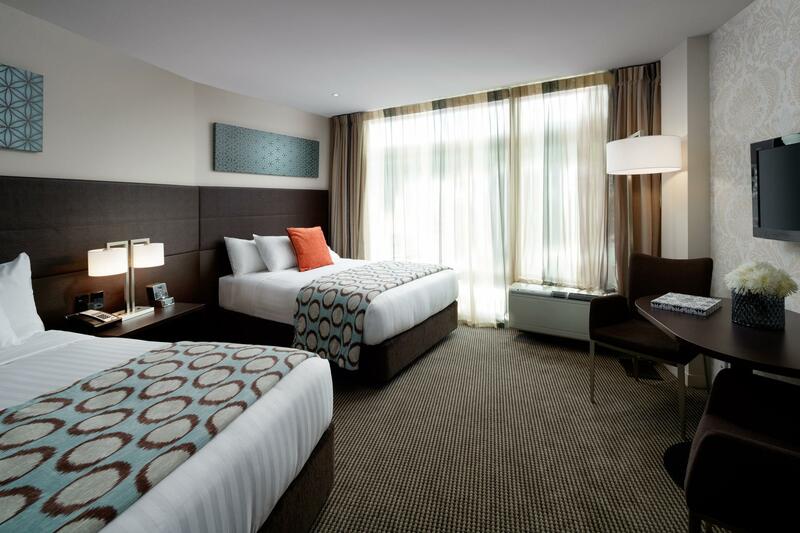 Very comfortable, great rooms with everything you could need. Food at the restaurant was fantastic. It’s a few blocks out from the cbd but possible to walk, staff were always great and friendly. Wifi is good. Very close to the railway station, very efficient and helpful staff; nice sized room, clean and comfortable; good sized bathroom with nice towels; comfortable beds with nice sheets; all in all a bit expensive, but considering the 20% food and beverage discount offered to loyalty card members, it was worth it. 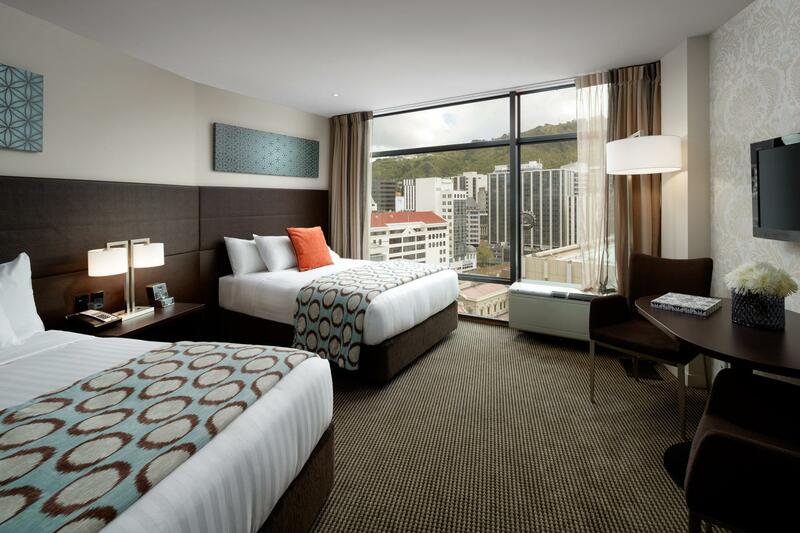 Hotel located right in the centre of Wellington CBD. The room is clean and the bed is comfy. There's a indoor swimming pool and spa next to it. 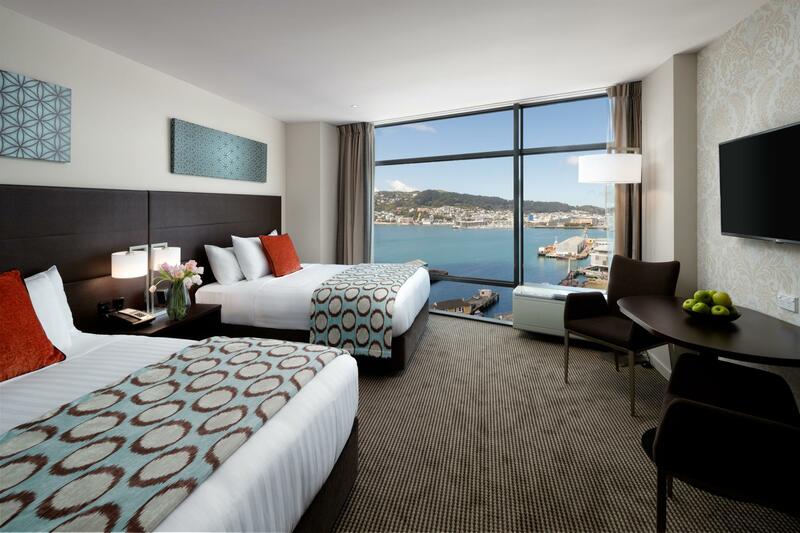 Our room is facing the water with good view of wellington habour. The staffs are very friend. love the breakfast here. Highly recommended. This hotel is fine if you don`t want car parking and most unsatisfactory if you do.We had booked this room three months earlier so was most unsatisfactory not to be able to have parking.We won`t be staying again. 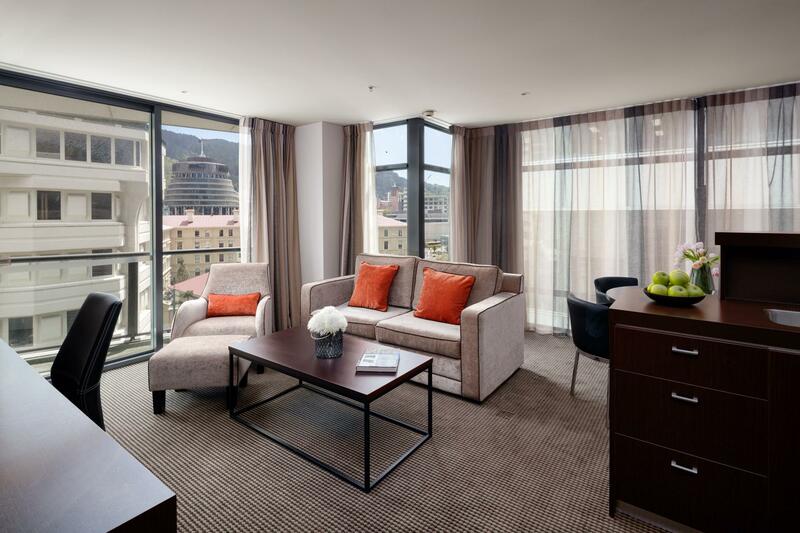 Our "go to" hotel in Wellington. Very comfortable rooms with a cozy bar and excellent restaurant on-site. Really appreciated the late check out we were given after the Wellington marathon: many thanks. The staff are always welcoming and friendly. Very quiet room facing the Harbour. Wonderful to wake up to that view each morning. Nice breakfast in the restaurant. Friendly staff although housekeeping wasn't the most efficient or productive. The heated pool was a welcome addition on the cold days. There are so many great restaurants just a short walk away and Cuban Street and Te Papa are easy to walk to. The magnificent Botanic Garden is also very close. This hotel isn't perfect, but it is well positioned and quiet. I would definitely stay here again. Arrived off ferry from Picton. Really easy to find and access hotel. Practically right downtown. Professional staff, and clean comfortable room. Reasonable rate for them to park car. Absoluetly delicious supper and breakfast meals. I will stay again next time we're in Wellington!